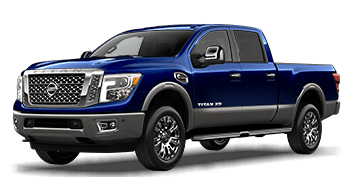 Drive the new Nissan Titan to experience a powerful, work-ready full-size pickup backed by the best truck warranty in America. Find yours at McLarty Nissan of Little Rock today! With its spacious and well-equipped interior and sporty good looks, it is no wonder the Nissan Rogue continues to be a top-selling SUV. Experience the new Rogue with a test drive. 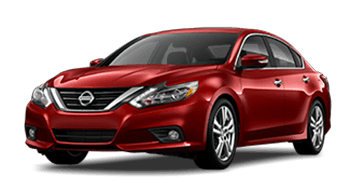 The new Nissan Altima boasts a recent redesign that delivers striking style, premium amenities and heightened performance that make it a smart buy. 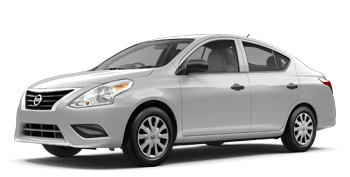 For a highly affordable new car, get into the new Nissan Versa, a subcompact sedan that is big on features, personality and value. Tour the new Versa in Little Rock today. Welcome and thank you for visiting McLarty Nissan of North Little Rock. We're your premier Nissan dealership near Cabot, Jacksonville, and Sherwood. The McLarty family has been in the automotive business since 1921, and we've been able to have success because catering to our customers' needs has always been our top priority. We believe in a stress-free, low-pressure car buying experience and we go above and beyond to create personalized service for everyone who walks into our dealership. We don't just want to meet your expectations, we want to exceed them at every turn. That's why we've worked to create a great digital experience for you here. We've streamlined our website to make it easier than ever for you to shop our new Nissan & used car inventory, browse our current specials, schedule service, order auto parts, apply for financing and more. Everything is just a click away. Once you've had a chance to look at a few of our vehicles, schedule a test drive online to get a closer look and see which of our great deals you qualify for. Or, you can always stop by our Nissan showroom in North Little Rock and one of our friendly and knowledgeable team members will be waiting to help. Let McLarty Nissan of North Little Rock help make your shopping experience easier. From an easy way to appraise your trade for a competitive price, to financing options that fit your lifestyle, you're one step closer to your new vehicle with our easy to use shopping tools. We look forward to seeing you. 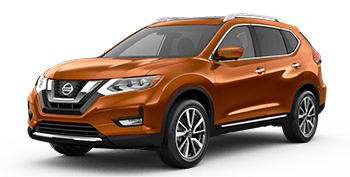 When you are shopping for a sporty, high-tech and affordable new car, SUV or pickup truck near Jacksonville, AR, turn to McLarty Nissan of North Little Rock. Our impressive selection of brand-new Nissan models ranges from the highly affordable Versa subcompact and the ever-popular Altima sedan and Rogue crossover SUV to the powerful new Titan trucks. You can start your new Nissan search here on our website, where you can shop by model, price and more; then, visit us in North Little Rock for an unforgettable test drive of your Nissan or choice! When you shop at our car dealership in North Little Rock, you can enjoy affordability and peace of mind, thanks to our extensive new and pre-owned inventory. When you shop used at McLarty Nissan of North Little Rock, you'll discover that we carry a vast range of used and certified pre-owned Nissan vehicles, along with used SUVs, pickups and cars from other fine automakers. When you select a Nissan certified pre-owned (CPO) vehicle, you can enjoy a nearly-new Rogue or Altima that comes backed by an extended factory warranty and has been intensely inspected for your peace of mind. New Nissan and used car buyers from nearby Sherwood, AR can turn to the in-house finance department at our dealership for their auto loan or lease needs. With our simple and secure online credit application, you can get pre-qualified for new Nissan financing or a used car loan before you arrive at our dealership for a tour and test drive. With our sub-prime financing assistance, even drivers with less than perfect credit can discover their loan options. See our current Nissan lease and finance offers as you shop for a new or used Nissan, and contact our finance staff with any questions. The service professionals at McLarty Nissan of North Little Rock welcome Jacksonville, AR drivers of all makes to visit our Nissan service center for routine maintenance and extensive auto repairs. Our team of factory-trained and ASE Certified technicians and helpful service advisors will provide a hassle-free service visit, from the moment you schedule an appointment until the time you drive home following your oil change visit. Our modern service facility boasts not only expert service technicians but the latest equipment to help ensure that your battery inspection or tire installation meet our high standards. When new replacement parts or upgraded accessories are in order for your Nissan, only trust genuine Nissan parts. Only factory OEM parts can help ensure that your car, SUV or pickup remains 100% Nissan. Protect your Nissan's performance, efficiency and factory warranty with parts from McLarty Nissan of North Little Rock. Our on-site parts department is staffed by Nissan parts experts that can guide you on your search for OEM replacement or NISMO performance parts for your Frontier or Titan truck. Use our online parts request form now to obtain the components you need at affordable prices. As a modern Nissan dealership, we understand how modern drivers shops for a new or used car. Start your search here on our user-friendly website, where you can not only shop and compare vehicles from our entire new and pre-owned inventory, but also apply for financing, value your trade-in vehicle and see our current specials on vehicles, parts and service. Our entire staff is committed to service excellence, so do not hesitate to reach out to us online or over the phone. We await your visit to our North Little Rock, AR dealership, where our team will meet or exceed your expectations!